This is my final blog post of three about our Social Media for Florists workshop last month. 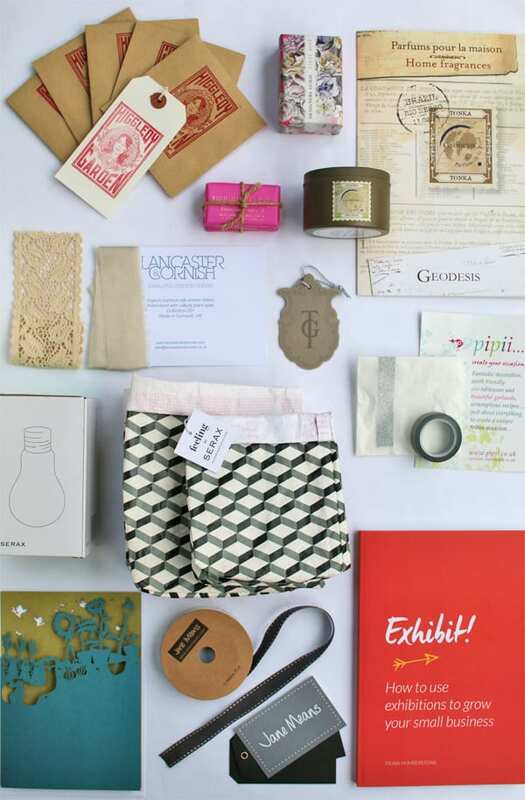 And it’s all about the wonderful goody bags which all of the delegates received. Thank you SO much to our incredibly generous sponsors! They include Jane Means, Serax, Higgledy Garden, Lancaster & Cornish, Geodesis, Designers Guild, Original Beans, True Grace, Pipii and Cutture. 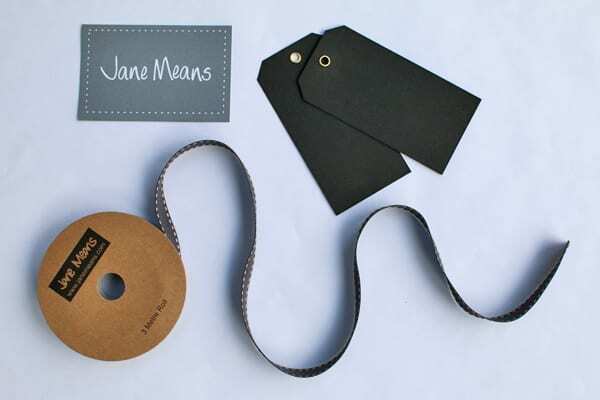 Many thanks to Jane Means for her beautiful Slate Stitched Ribbon and Black Tags. 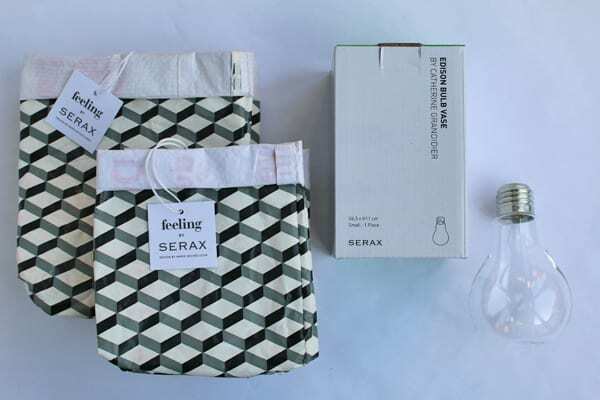 Thank you to Serax for the Edison Bulb Vase and Plant Paper Bags. 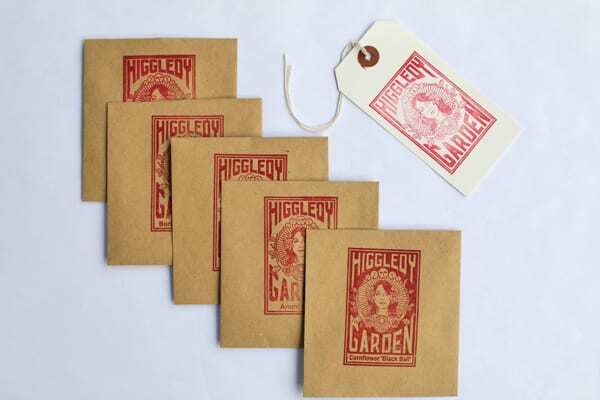 Many thanks to Higgledy Garden for the wonderful flower seeds. 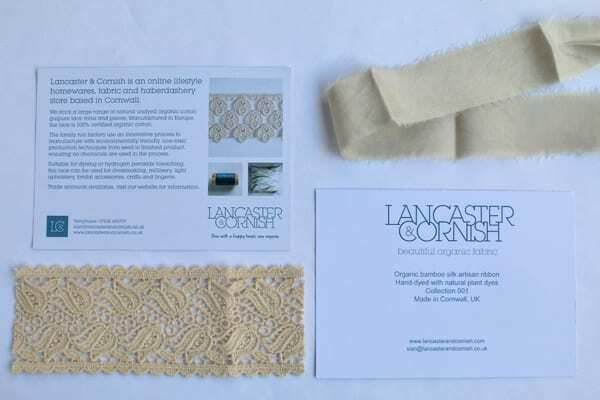 And thank you too to Lancaster & Cornish for the Organic Lace Trim and Bamboo Silk Ribbon samples. 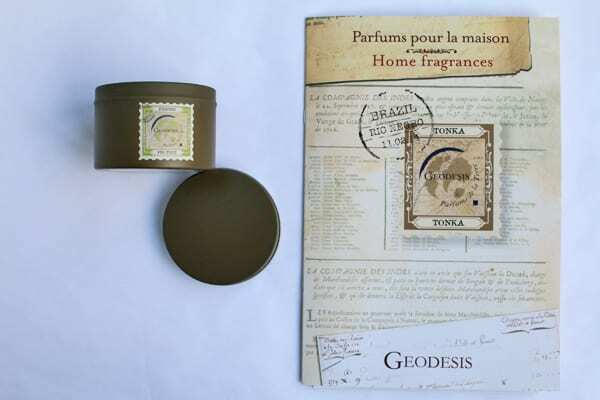 I LOVE Geodesis candles and was thrilled when they offered to sponsor us. This is one of my favourite candles from their range, Fig Tree. 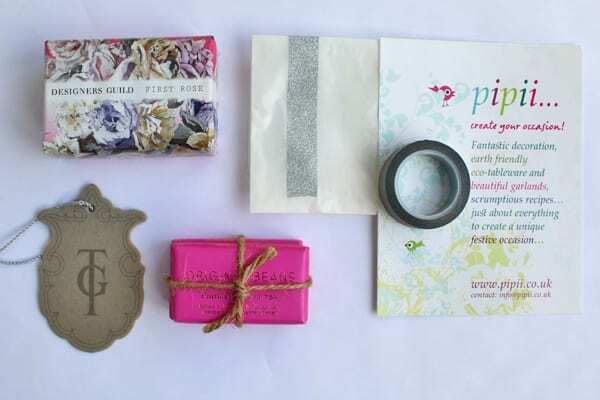 Many thanks to Designer’s Guild for their beautifully scented First Rose Soap, Pipii for their Silver Glitter Paper Tape, True Grace for their Scented Leaves and Original Beans for their delicious chocolate. 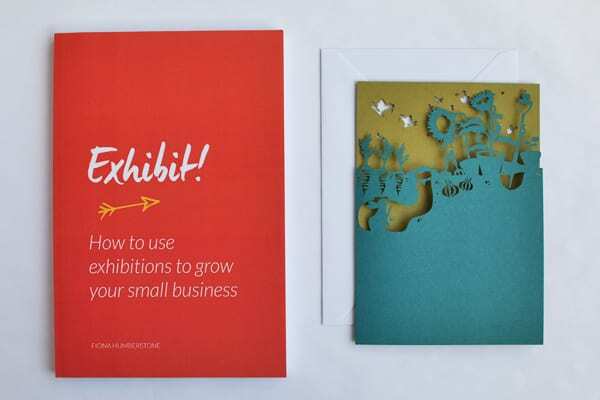 Finally, thank you so much to Cutture for their gorgeous cards. We also gifted delegates a copy of Fiona’s last book, Exhibit. Thank you very much too, to Kilner for sponsoring our event with their wonderful Drinks Dispensers and Peach Blossom for supplying the Floral Straws for our cocktails and mocktails. If you’d like to book our next Social Media for Florists workshop, it’s taking place on October 20th 2015 at Brixton East in London from 9.15am-4.30pm. For more information and to secure your place, simply click here. Make sure you book soon though, as the last three workshops have sold out! P.S. Here are links to Part 1, Part 2 and the ‘behind the scenes’ video, just in case you’ve not already seen them.